Size of this preview: 800 × 553 piksel. Other resolutions: 320 × 221 piksel | 640 × 443 piksel | 1 024 × 708 piksel | 1 280 × 885 piksel | 3 834 × 2 651 piksel. 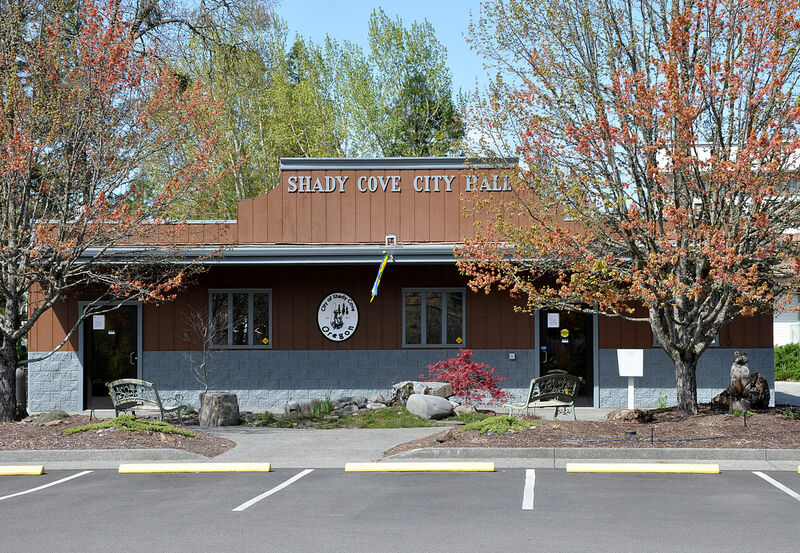 English: City hall in Shady Cove in the U.S. state of Oregon.